There is humor in this image. The slender body of the teenage girl is holding the umbrella, as if she is the umbrella stand. Also, this image for me as a mid century feel with the cleanliness and differrent shapes. It is high noon, always a difficult time to photograph, but here the sun works in my favor creating a short and round shadow at the feet of the teenage and not interrupting the young toddler playing in the sand. 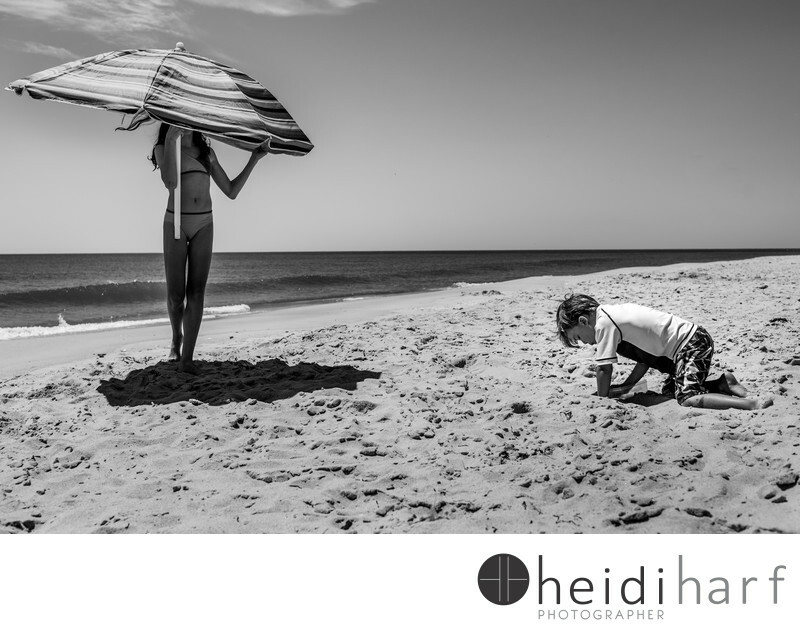 Keywords: Beach (39), beach portraits (48), best hamptons photographer (39), Hamptons Beach portraits (39), hamptons photographer (15).